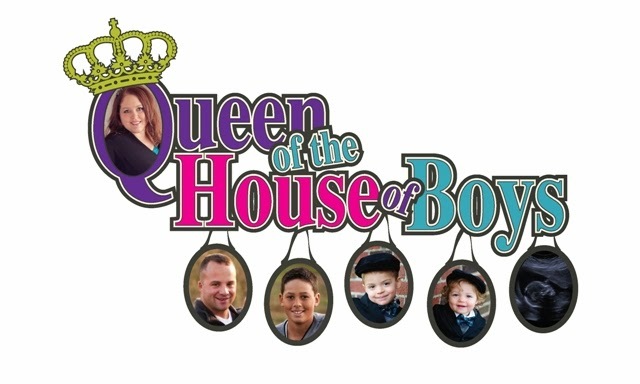 Queen of the House of Boys: Leave the kids? What? I joined in on this thread on the BlogFrog and I just loved the conversation. My response to the thread got really long, and I decided to post it hear as well. Wow! This thread couldn't have come at a better time. Right now I am sitting at a computer in my hotel in St. Pete, Florida. My husband is sitting at a conference for our business...and our kids...are back in Iowa with my mom at our house! We just got here Sunday, so this is my first day here. We will be here Sunday to Sunday, husband in class Mon - Fri. Me....I am taking things slow. Got up at 8:30 AM, came and ate a leisurely quiet breakfast in the hotel, came back to my room, watched some tv, organized the room so we could be relaxed the rest of the trip, ironed our clothes, went and worked out at the fitness center, came back to the room, took a shower and spent 2 HOURS slowly getting ready. My boys are 11 years old and 15 months old. I am still breastfeeding the 15 mo as well. We left them at my parents house back in November for 2 nights because they had been begging us to. It went well...but I didn't really have a desire to leave them. I have left our 11 year old plenty of times...so it's not quite as big of a deal with him. But I am a SAHM and am with my 15 mo ALL THE TIME. I didn't realize that I needed those first 2 days away until I was in the midst of it. It was really nice. My husband and I stayed in, cleaned, watched movies, drank wine, flirted and just reconnected....ALONE. In December we went to Hawaii for a week. I could not have fathomed #1 Leaving the kids for a week, #2 Flying WITH my husband...OVER THE OCEAN without the kids. So, we packed them up and took them with us. We also took my parents with us. Doing this allowed us to have a couple of date nights, and it was still GREAT because I got to share such an awesome experience with the ones that I love the most. Then just a couple of weeks ago my husband got this opportunity to come to this conference. It was a last minute deal, and I really wanted to come with him. We kinda just started booking things...and then the reality starting sinking in. I AM LEAVING MY BABY for a WEEK! No way! What if he is traumatized? What if he doesn't want to breastfeed? What if he gets sick and I am not there? What if he says or does something new and spectacular that I will miss???? What if what if what if???????? So I started posting my doubts on my Facebook account, and other mothers that I know personally started responding with the support that I needed. The support that said...kids need that time away too...you need to have that special time with your husband...you need to show your husband that you still put him first in this relationship...your parents and children will have such great memories of the time that they got to spend together while we were away...my parents will not be around forever, they will not always be physically able to take care of my kids like this...these opportunities don't come like this often...it is in fact "only" a week. These reassuring messages really hit me with the confidence that I needed to move forward in leaving for this trip. Yes...I miss my kids. Yes...I have called home 5 times and probably text more than that. Yes...my mom is having a blast with them. Yes...my 11 yr old really did get sick the day we left and had to stay home from school today. Yes...I think that maybe he just really wanted to stay home with Grandma today and might have played the sick card so that he could. I have no huge expectations for this time away, other than just going with the flow and enjoying the evenings and weekend with my husband, and taking some alone time during the day for myself. I really have been attached to my baby for the last 15 months PLUS the 8 months (he was 5 weeks early) that I was pregnant. Breastfeeding, diaper changing, even when he is sleeping I am near the baby monitor and going quietly through the house so that I don't wake him. I LOVE my kids, but they need their mommy and daddy to not be burned out too. I can't wait to hear what you decide! Great start on the thread! Hi. I saw your post on MckMama's BlogFrog community and came over here to say Hello. I live in St. Pete, so welcome to the neighborhood. Although I'm not free this week to take you around sightseeing, I do have some suggestions of things to do if you have a rental car or other transportation. (Of course, "me" time alone in a quiet hotel room would be pretty wonderful in my book.) By the way, I didn't comment on the "leaving kids" thread, but my dh and I just got back from our first overnight away by ourselves. It was very nice to have the time to ourselves and we'll be making plans to do it again at least once a year if my mom will continue to be able to care for our 6 and 4 yr kids. If you want to reach me, you can email me at wood.online @ verizon.net (without the spaces).